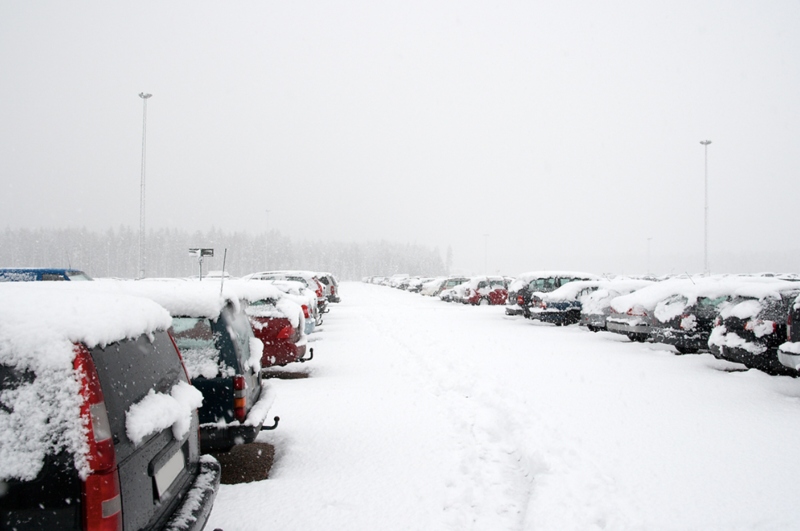 Winter weather in New England can be unpredictable — but your business can’t be. It’s important to be aware of winter-related risks so that you can take the necessary steps to prevent them. This will ensure that you keep your property and employees safe, and keep your business running smoothly without a costly interruption. Put the necessary time into preparation and prevention this winter by following our tips below. Slips and falls are one of the most common workplace injuries once snow and ice start to build up on sidewalks and entryways. In fact, according to the Bureau of Labor Statistics, 42,480 work injuries involved ice, sleet, or snow in 2014, and 82 percent of these injuries involved falls on ground level. Keep your employees and clients safe by keeping all outdoor walkways clear of snow. You can do this by hiring a reliable snow removal company. If you’re a small business and have to shovel yourself, be sure to follow safe shoveling practices, like dressing in layers, staying hydrated, and lifting from the knees. The final step: use rock salt on sidewalks and entryways to keep them from refreezing into a sheet of ice. After putting down salt, you should notice the ice start to melt away in a matter of minutes. Thick patches of ice could take much longer — and can also be the most dangerous. After letting these patches melt away slightly, go back and remove them with a shovel. It should be very easy to lift them away after salting. Consider purchasing salt in bulk before the snow hits — we would even recommend stocking up in September or October. It can sit for long periods of time without losing its effect. A major problem with parking lots is that drivers let their guard down because they’re no longer on the road. But according to a study by the Insurance Institute for Highway Safety, 20 percent of all collisions resulting in damage claims occur in parking lots. These collisions are largely based on two things: limited visibility and distraction — and visibility is even more impaired in a pitch black parking lot full of snow. Do everything you need to do (checking your phone, adjusting your seat, mirrors, etc.) before you back out of your parking space. Do not wear headphones when walking through a parking lot. Do not cut diagonally across a parking lot. Follow the lanes and proper designations. When walking in an icy lot, make eye contact with an approaching driver. Stop if you don’t think the driver has seen you. Wear boots or shoes with nonslip soles and good support. You can change into your work shoes when you get inside. An ice dam occurs when water from melting snow runs down your roof and refreezes, causing the ice to accumulate, or “dam” in one spot. As this runoff refreezes, it can damage your roof by causing shingles to lift up. When these dams melt again, they can also cause costly water damage in your property. Additionally, the giant icicles that form on the eaves of your roof are dangerous for employees and pedestrians walking below. Clear your gutters of leaves or debris that would cause pooling of water at your roof’s edge. Have your attic inspected for proper insulation. The goal is to prevent air leaks that would make your roof warmer and lead to more melting snow. Plug any leaks using foam or caulk. Have your roof inspected for proper ventilation. A continuous soffit-to-ridge ventilation system will circulate cold air under the entire roof. Buy a snow rake to rake the snow off your roof after a heavy snowfall. If you pull the snow down, it can’t melt and form an ice dam. If you do get ice dams, don’t panic. We would recommend calling a professional immediately to remove them. Have more questions about keeping your business safe in the winter? We work with over 500 independent insurance agents who are ready to help! Visit our website to connect with a local agent near you: bit.ly/QuincyFindAgent.